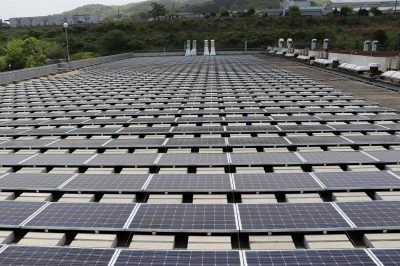 Dubai, UAE (April 23, 2018) – Japan Benex Corp. and Sumitomo Corp. will launch a “Future Plant” project using rooftop solar panels, Nissan electric vehicles and electric-vehicle batteries to power Japan Benex’s headquarters plant in Isahaya, Japan. The newly developed stationary power storage system combines renewable energy, reused batteries and electric vehicles to promote efficient energy use and environmental sustainability. Nissan will support the project by providing 10 Nissan e-NV200 electric commercial vehicles. The vehicles and batteries will help stabilize output from the solar power system and reduce the plant’s electricity costs by using stored energy during times of peak demand. The Nissan e-NV200s will be used by employees for commuting or work purposes, and their batteries will eventually be recycled and refabricated as components of the energy storage system. Japan Benex and Sumitomo Corp. co-developed the system for use in virtual power plants (VPP)1, which are expected to be operating in Japan by 2020. It will help optimize the timing for charging and discharging energy to adjust electricity supply and demand throughout an entire region. 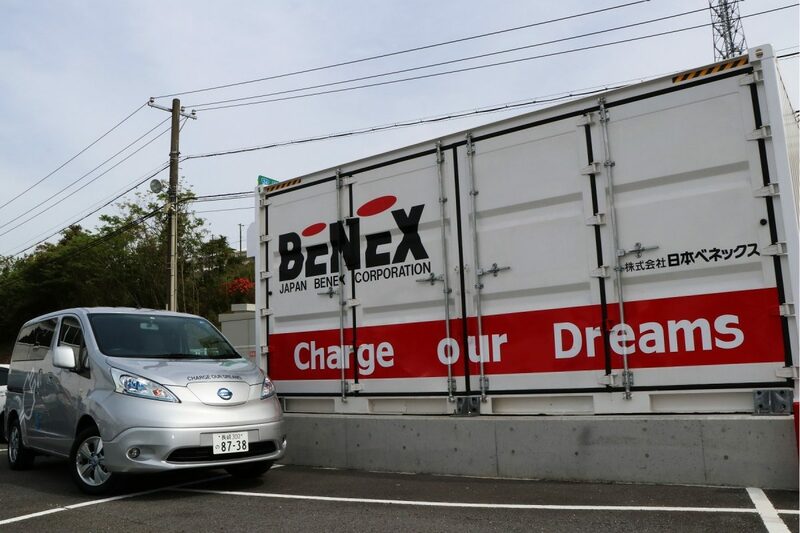 Japan Benex and Sumitomo Corp. have begun field testing power storage systems and electric vehicles as part of their participation in the Kansai VPP project. The Future Plant project will help expand the use of renewable energy, create a system that promotes the reuse of electric-vehicle batteries while optimizing energy supply and demand, and ultimately help realize a low-carbon society. 1) A virtual power plant (VPP) is a smart-grid solution that integrates energy resources using IoT and controls charging and discharging to ensure real-time balance between generation and consumption.